Please fill out the form to the right and we will get back to you as soon as possible. Mahalo! cutting edge of the new-school of marine art. 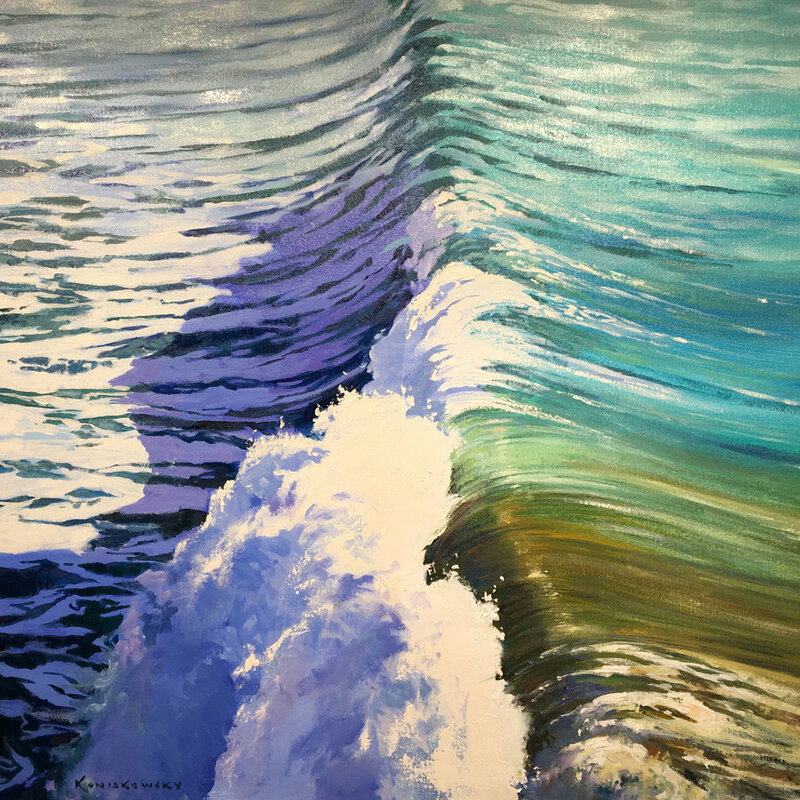 Wade Koniakowsky’s Impressionistic ocean wave paintings — showing waves as they hit the shore, swirling with color and full of light. 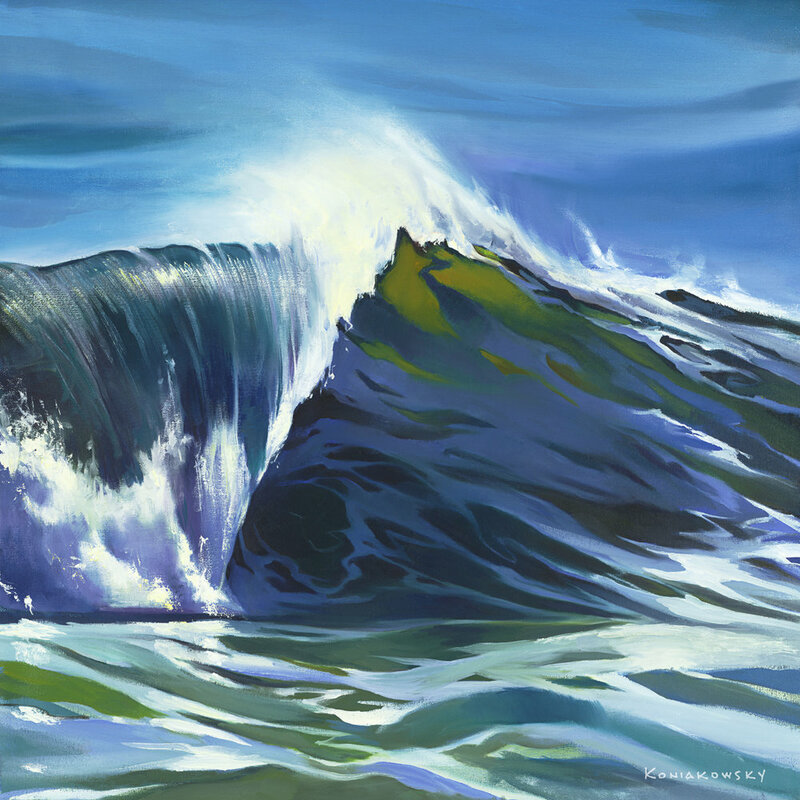 Also known as the “Shorebreak Series” of paintings. Most waves, as they break, become a cylindrical type of prism of refracted light. 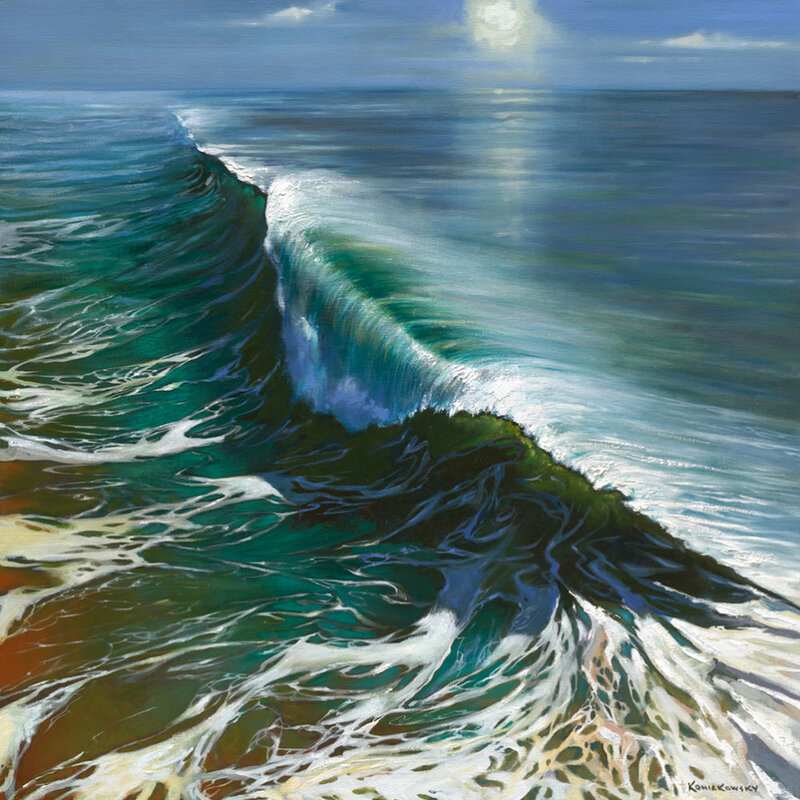 And even if a wave does not pitch and form a tube, it's still reflecting light from so many surfaces, ever changing, ever moving until it dissolves into the sand. Not an easy thing to paint. These “Moving Water Paintings” have an almost abstract quality and complement any décor.